Saturday 13th July 2019 – keep your calendar clear! 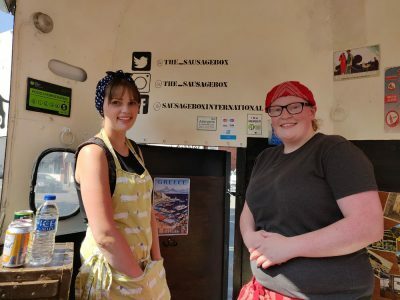 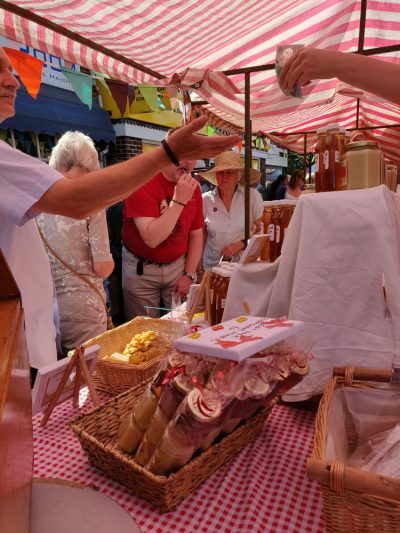 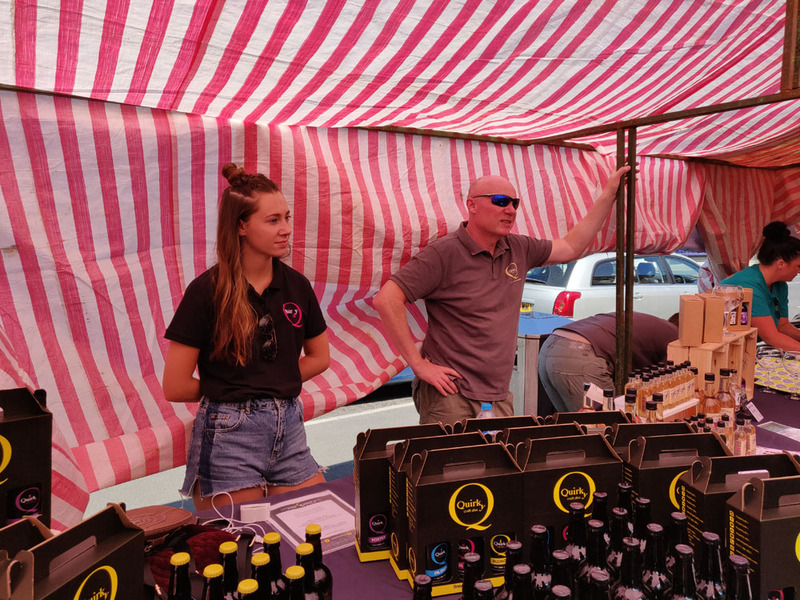 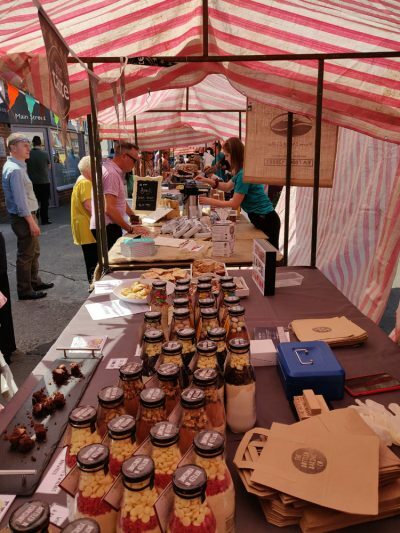 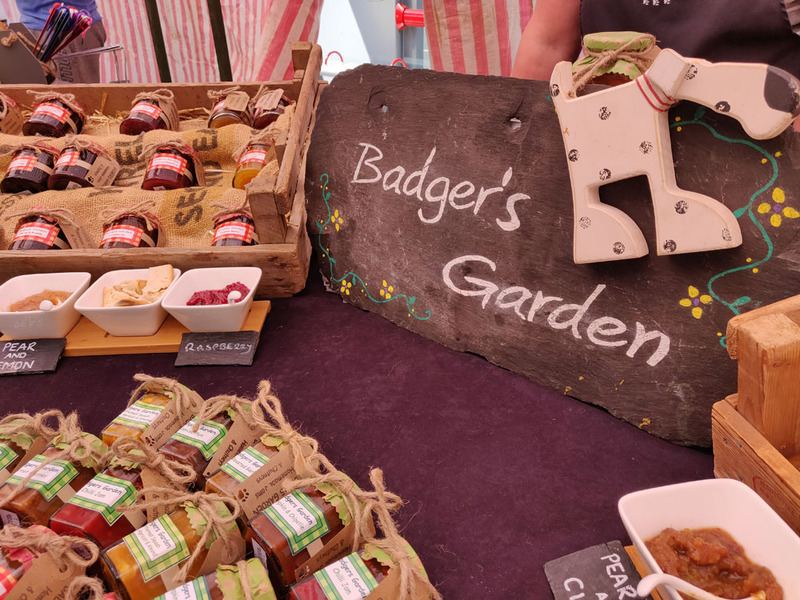 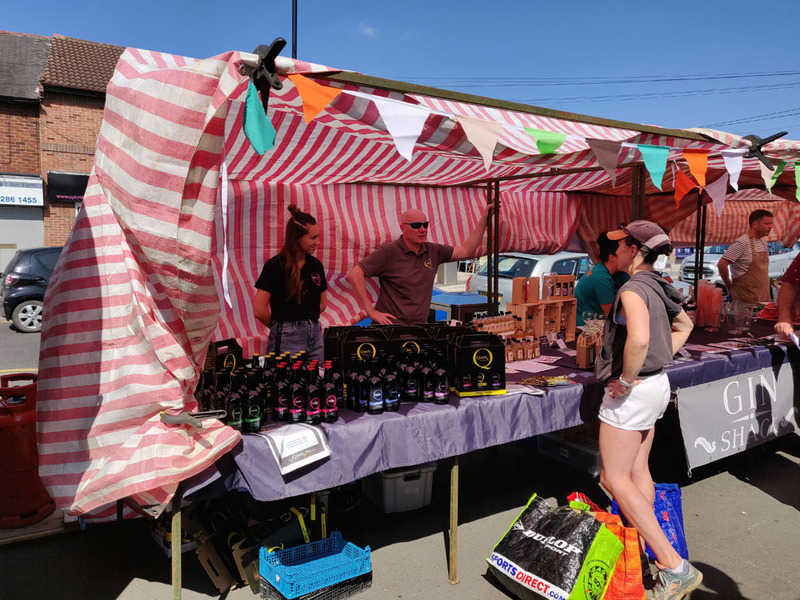 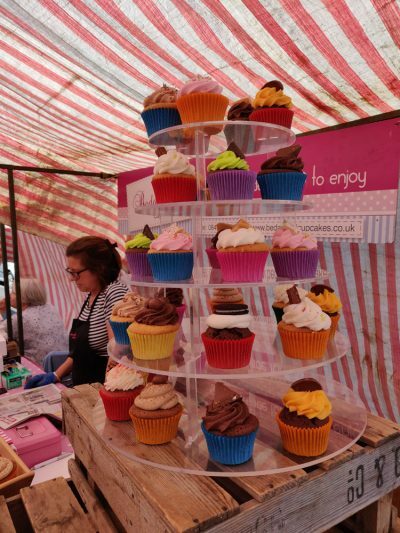 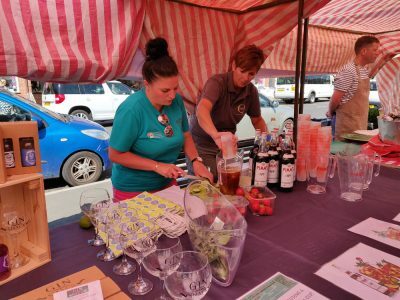 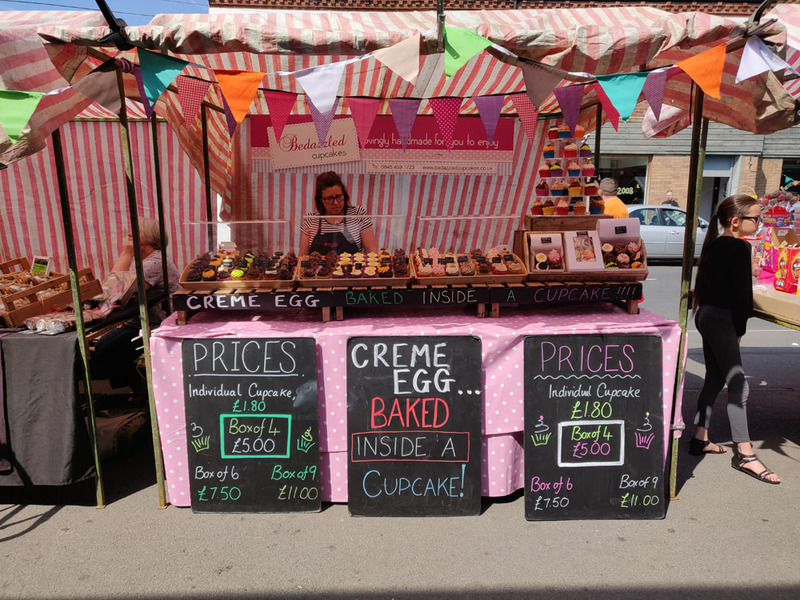 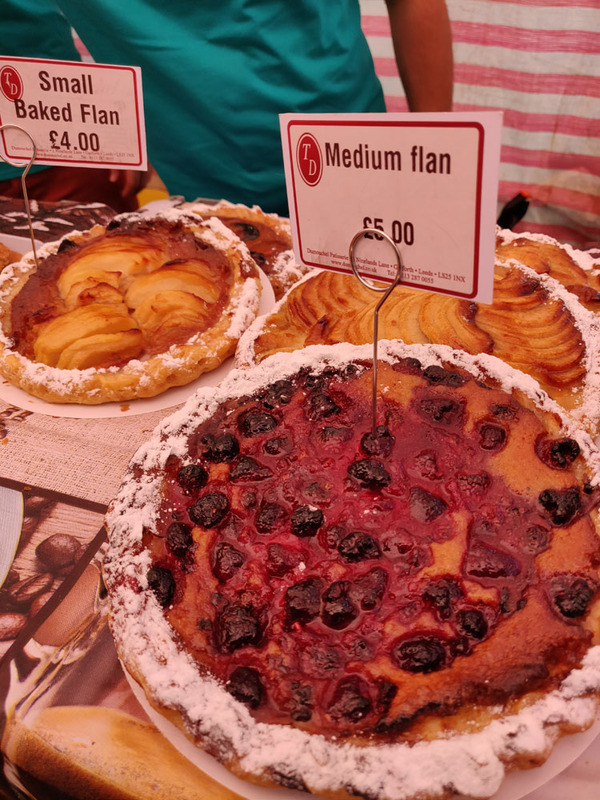 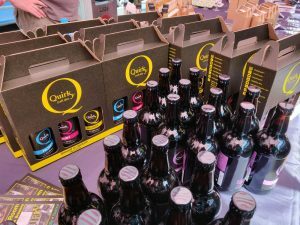 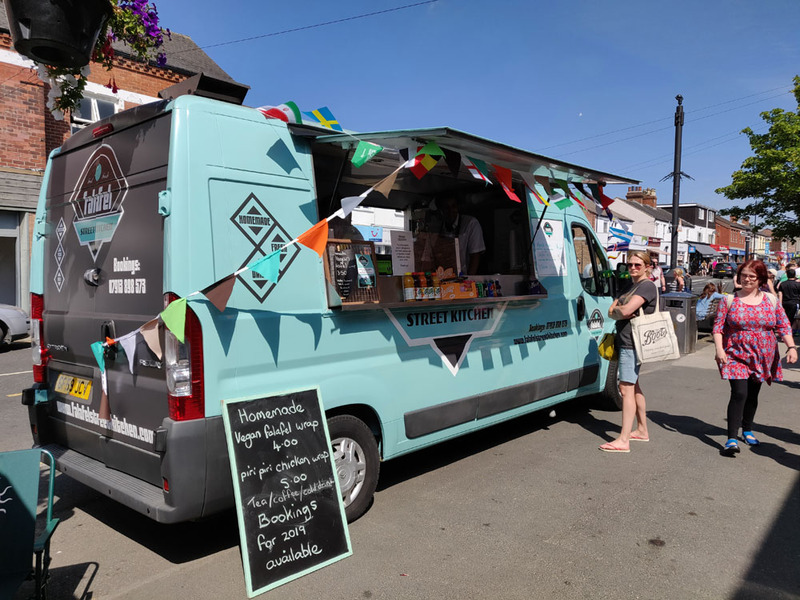 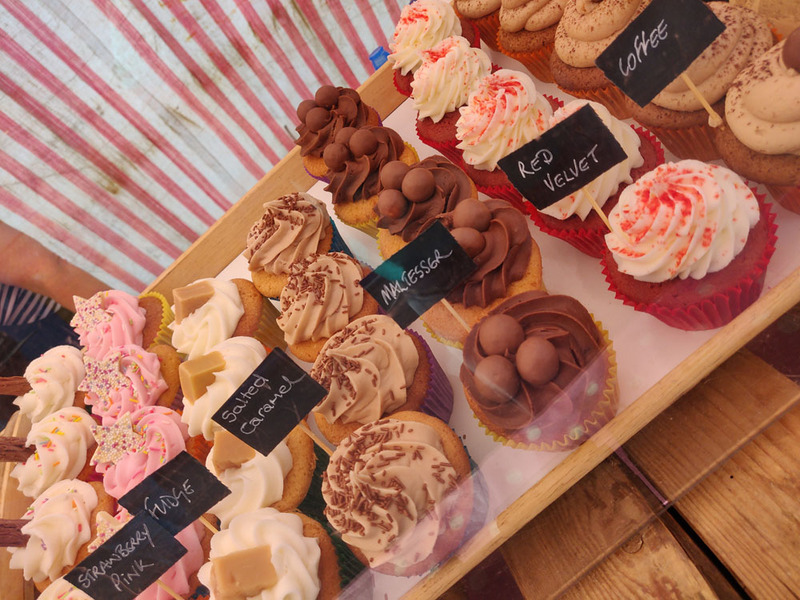 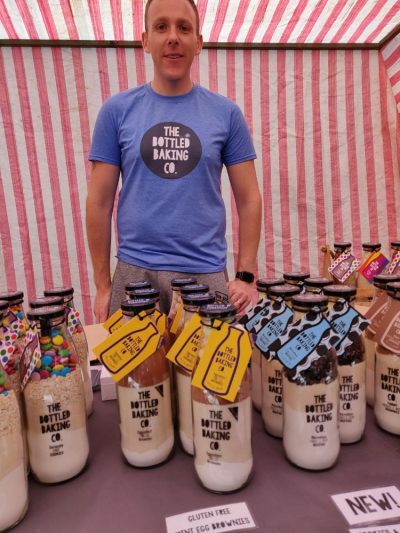 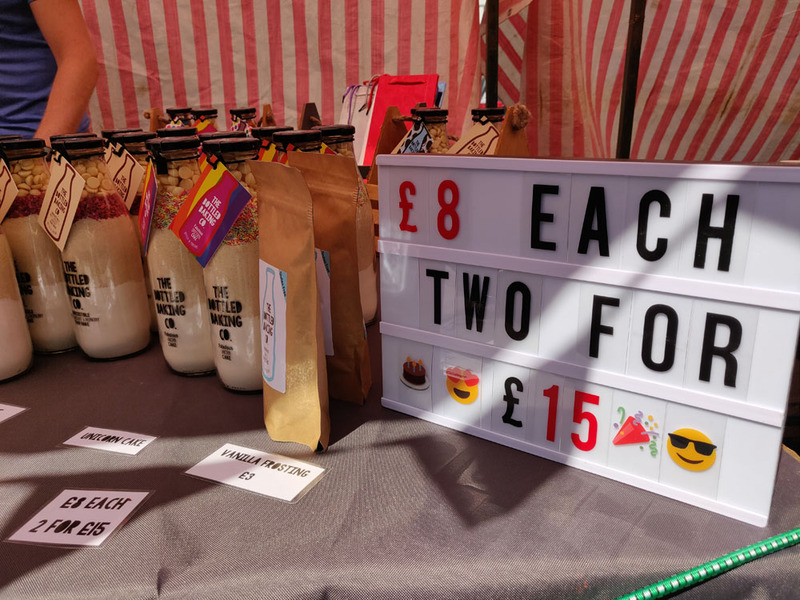 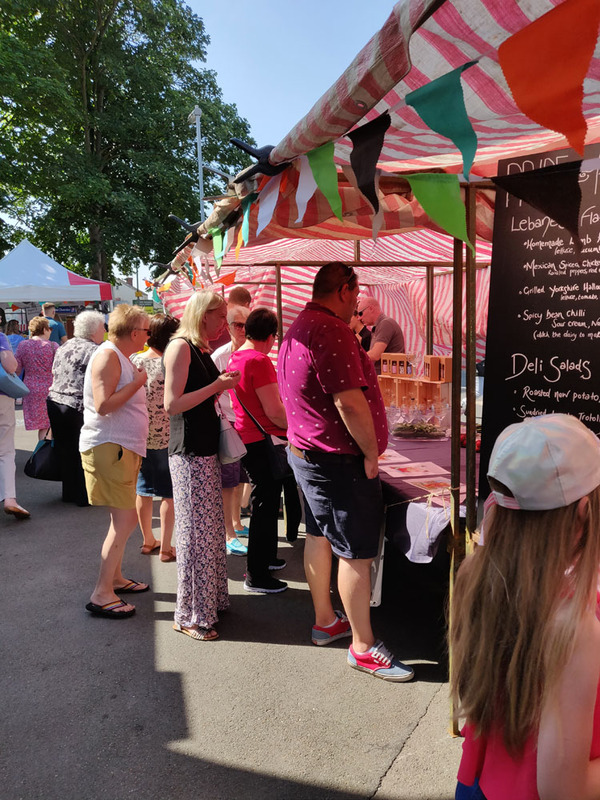 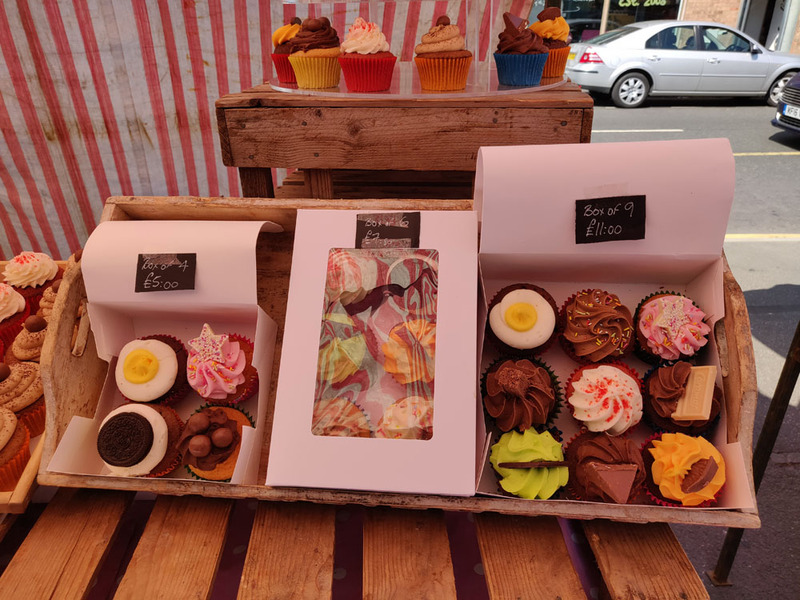 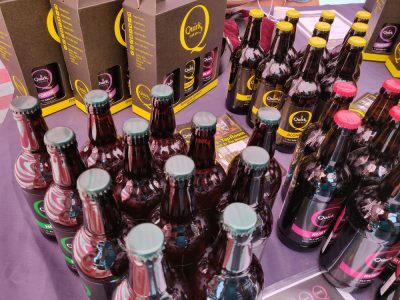 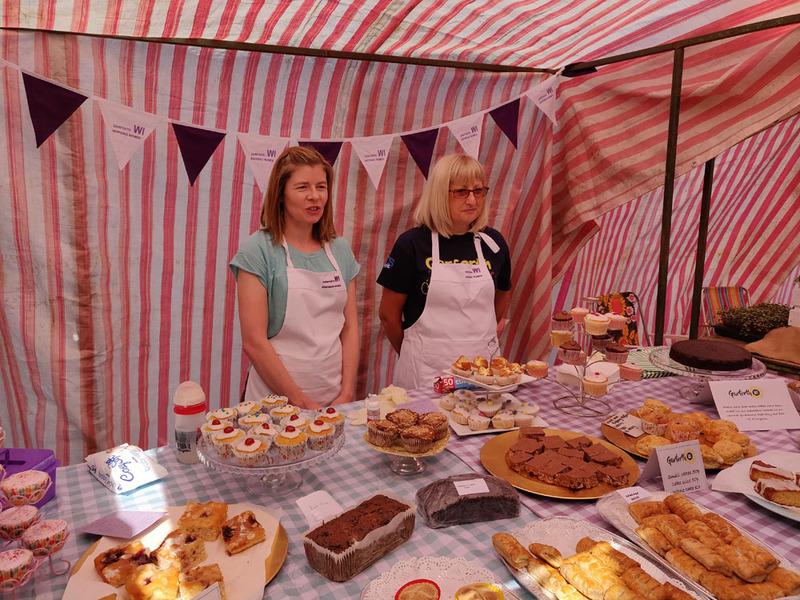 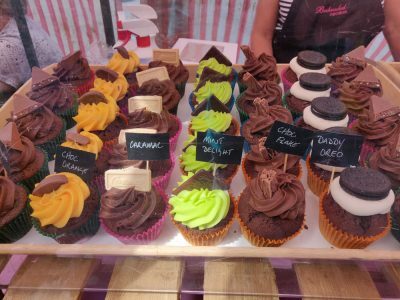 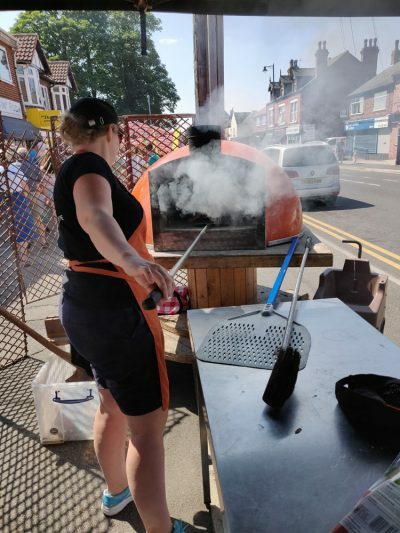 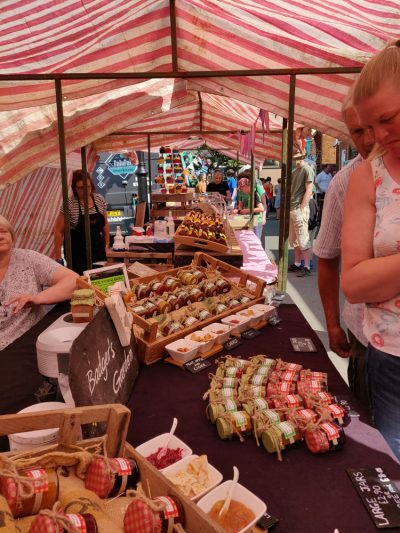 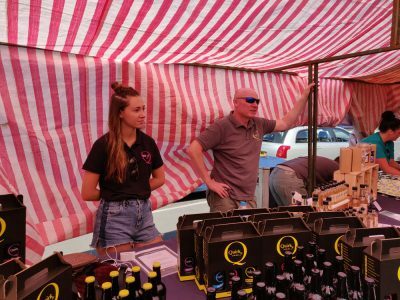 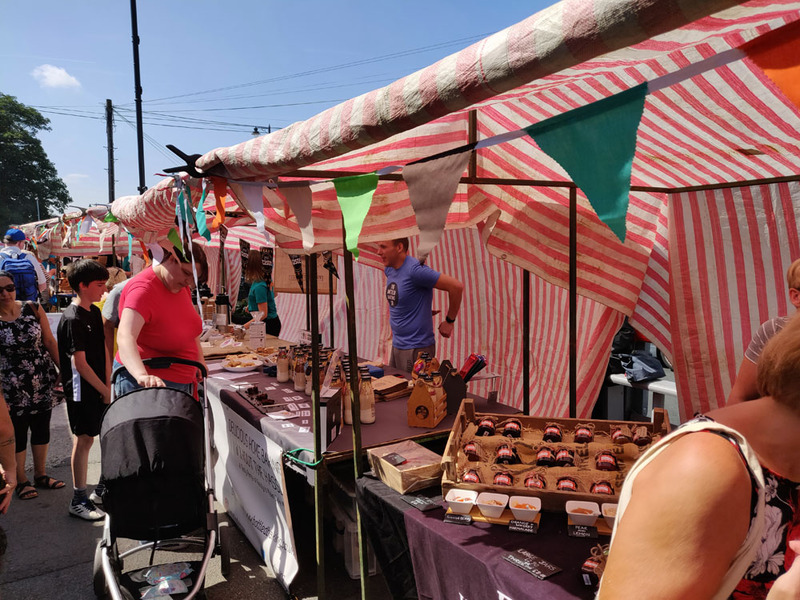 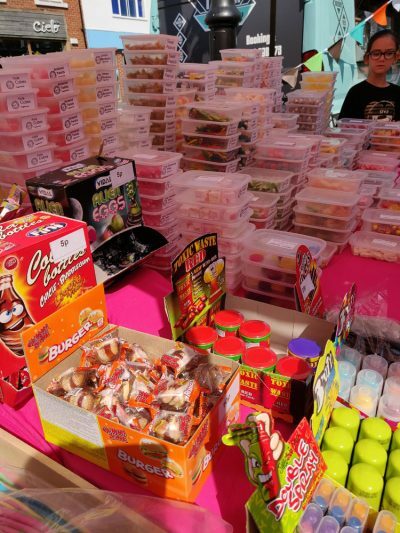 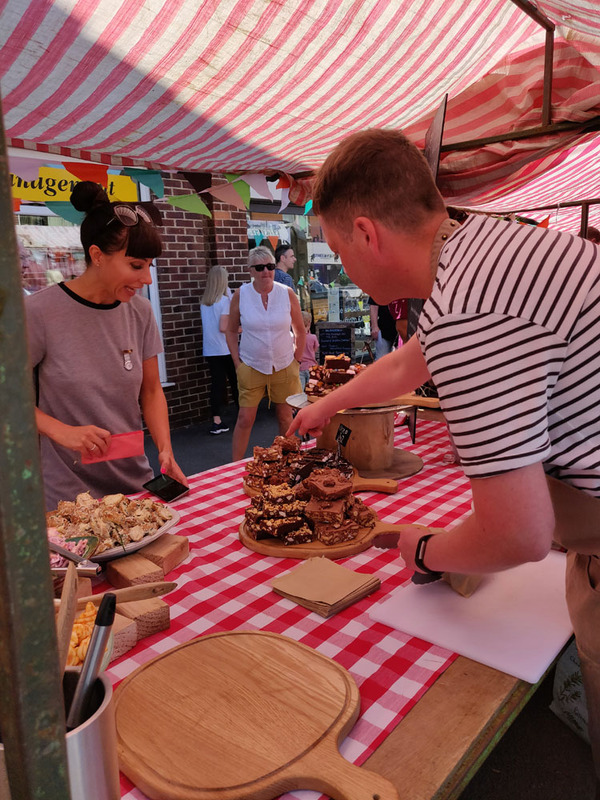 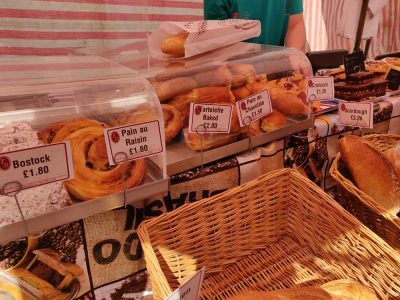 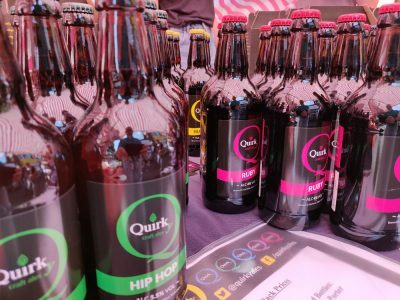 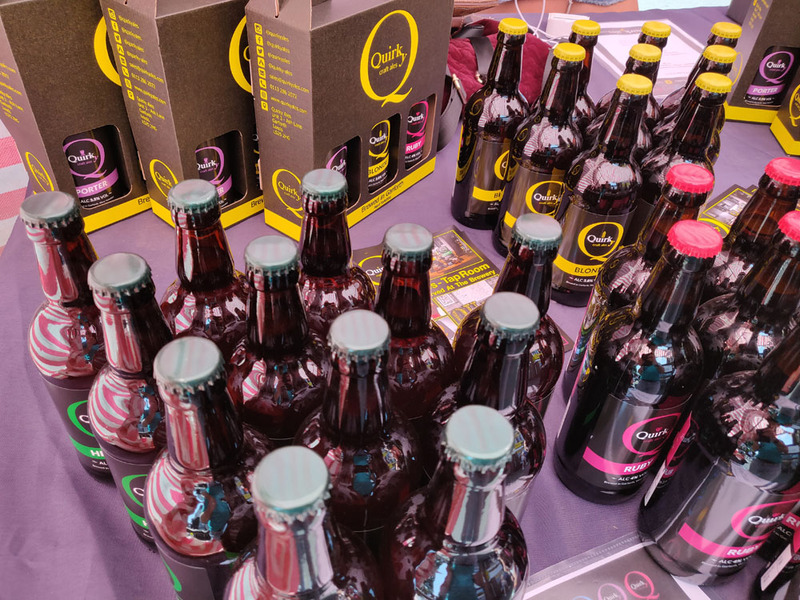 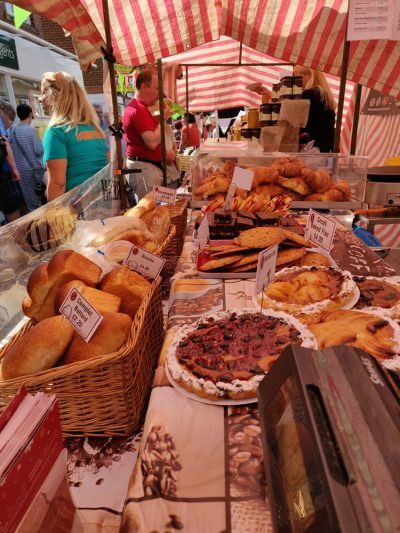 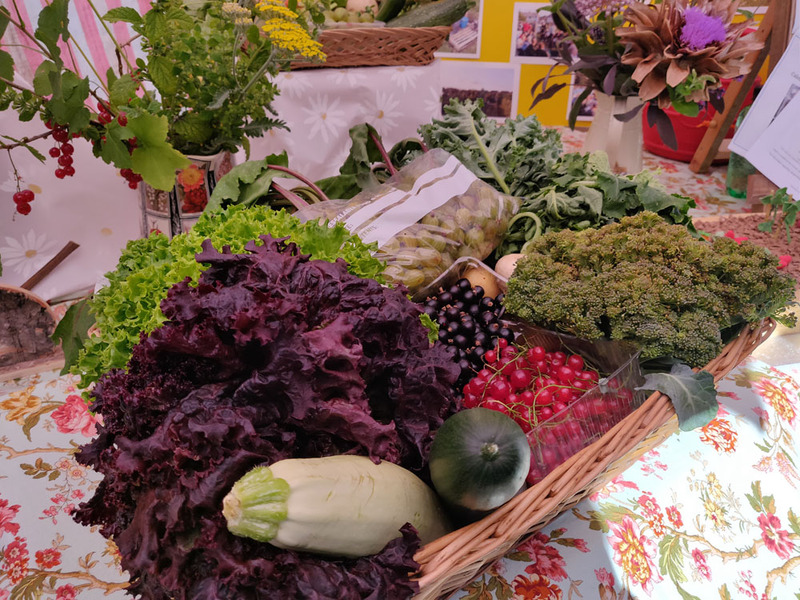 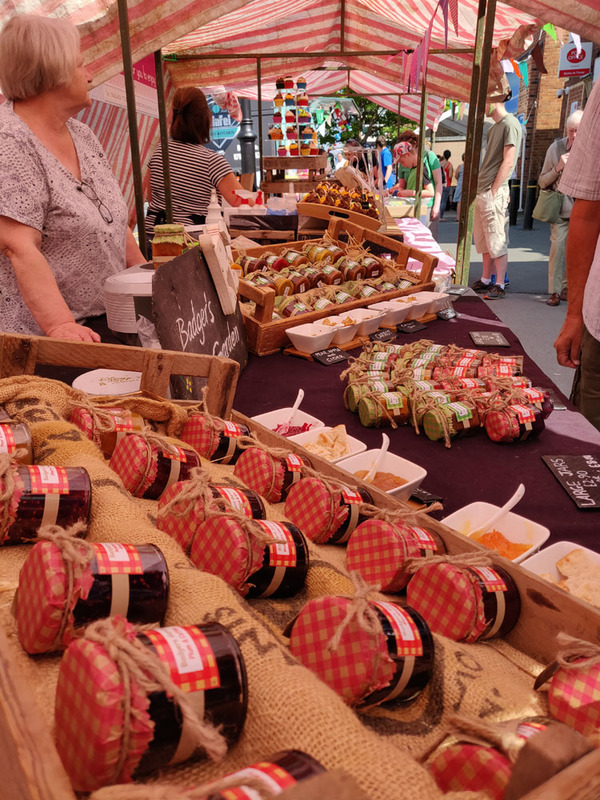 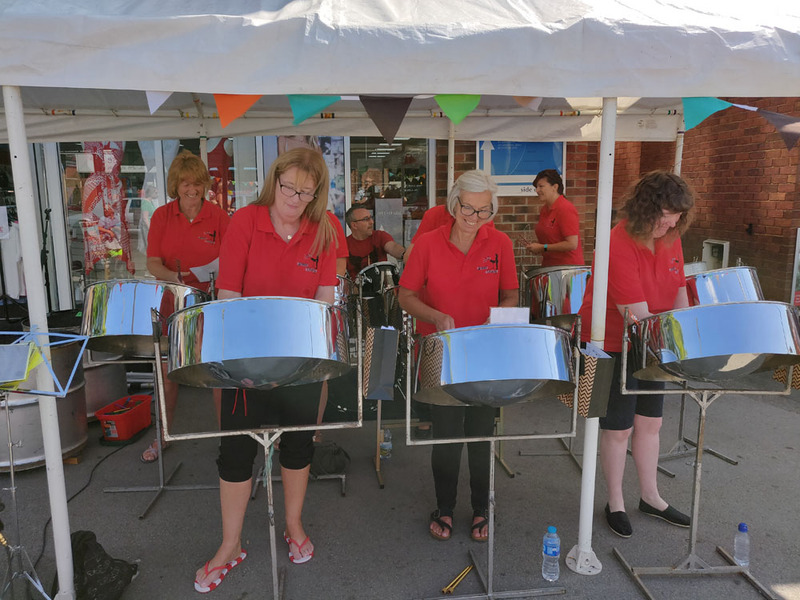 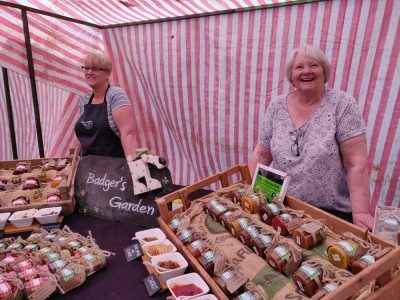 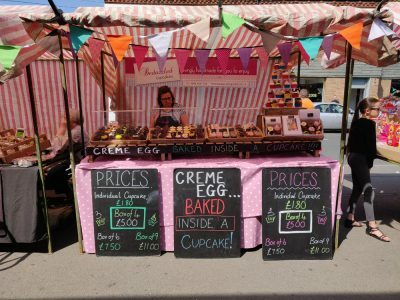 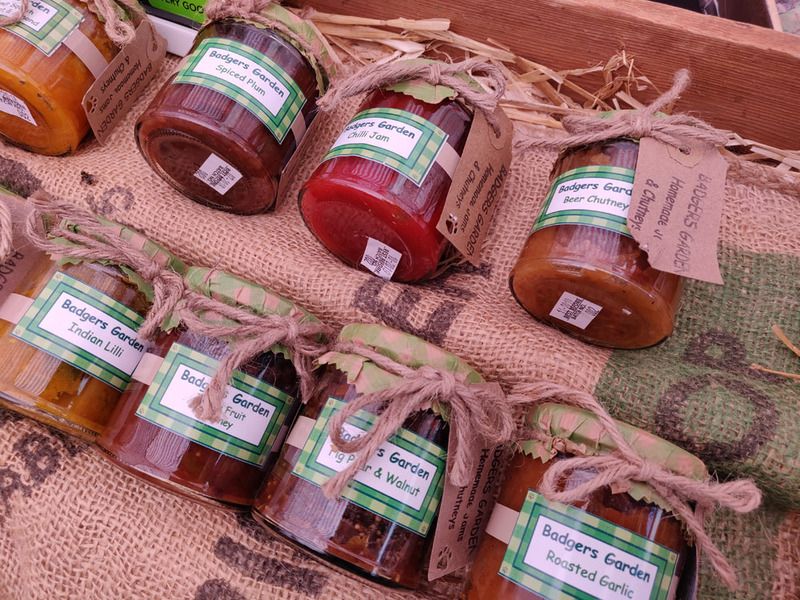 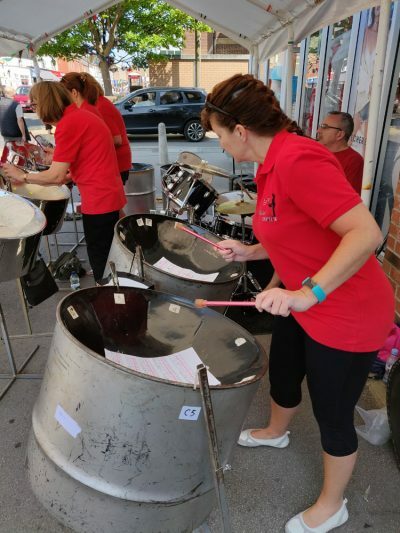 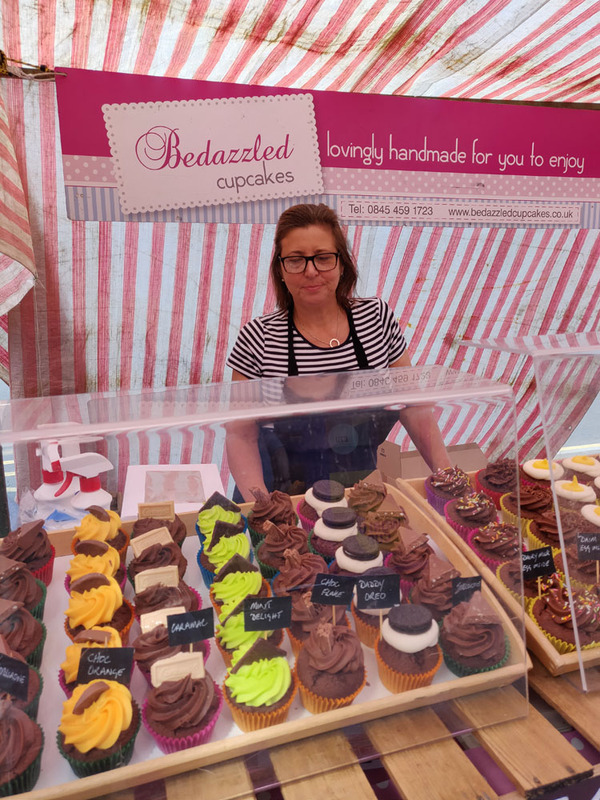 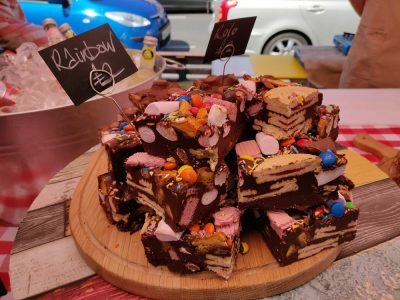 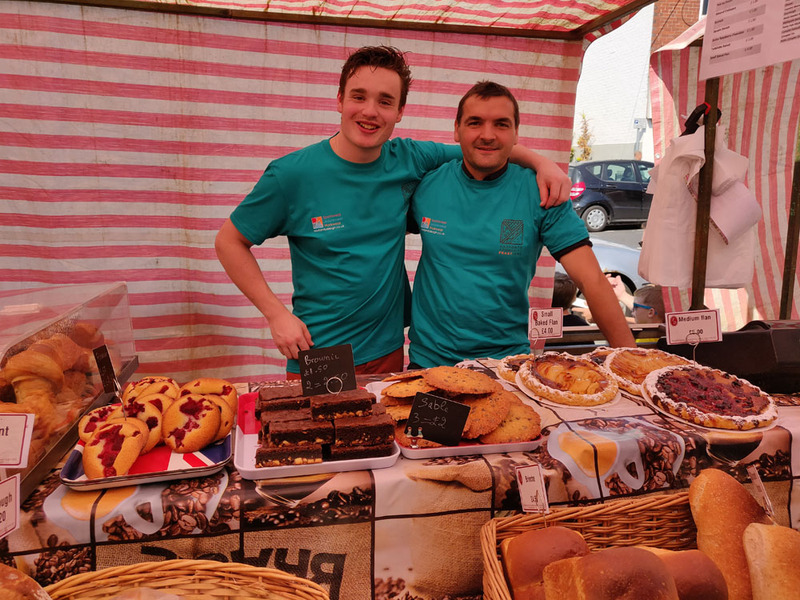 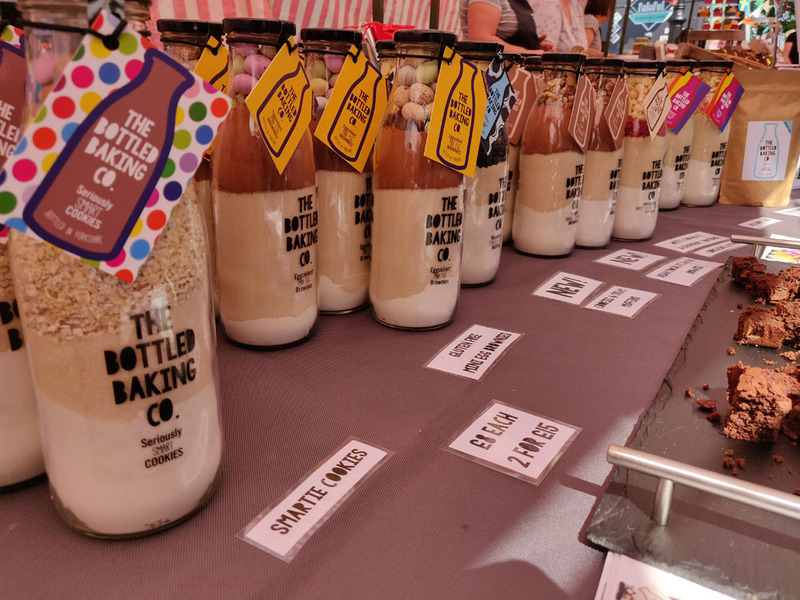 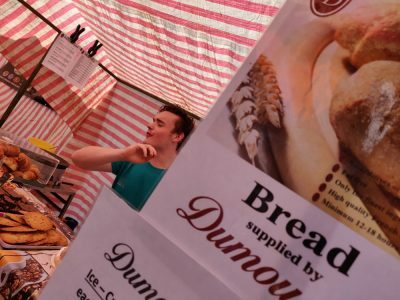 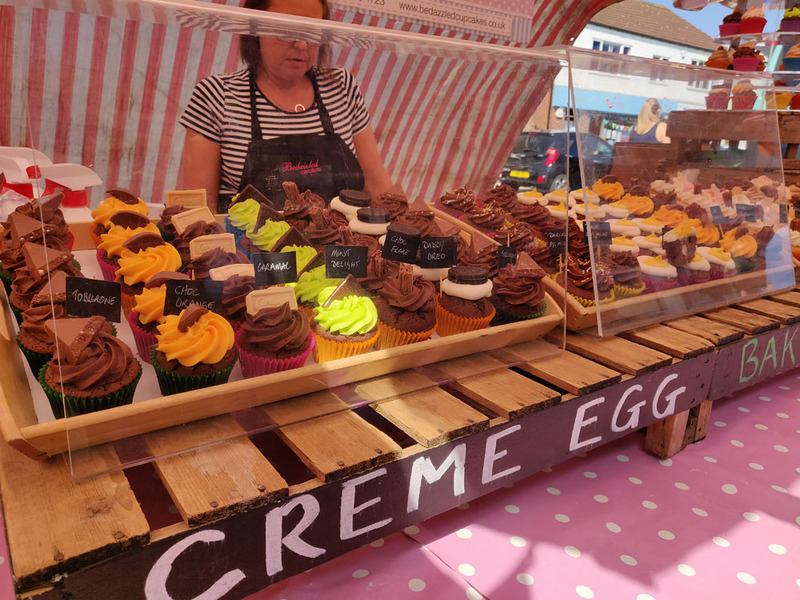 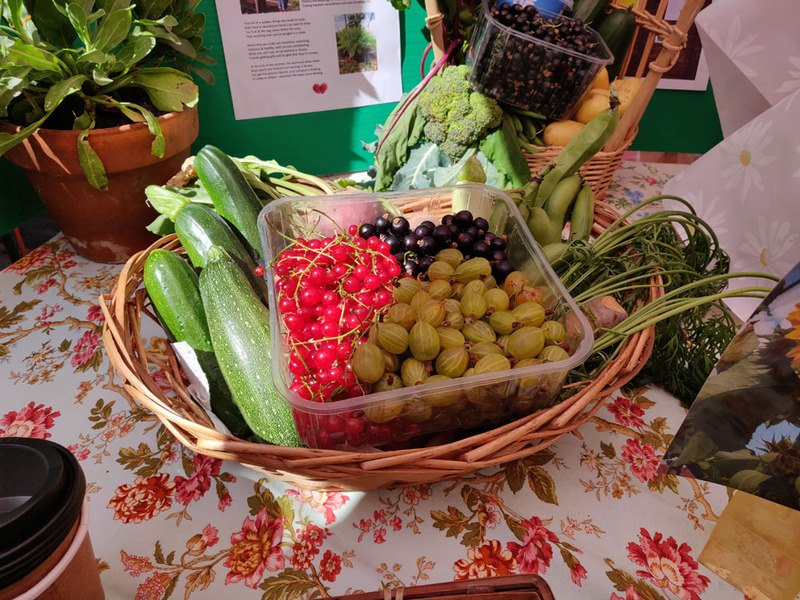 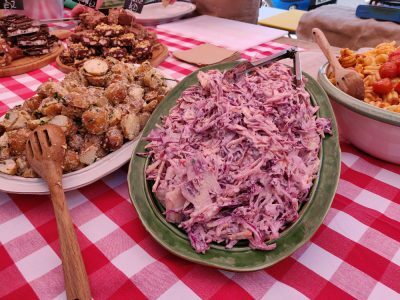 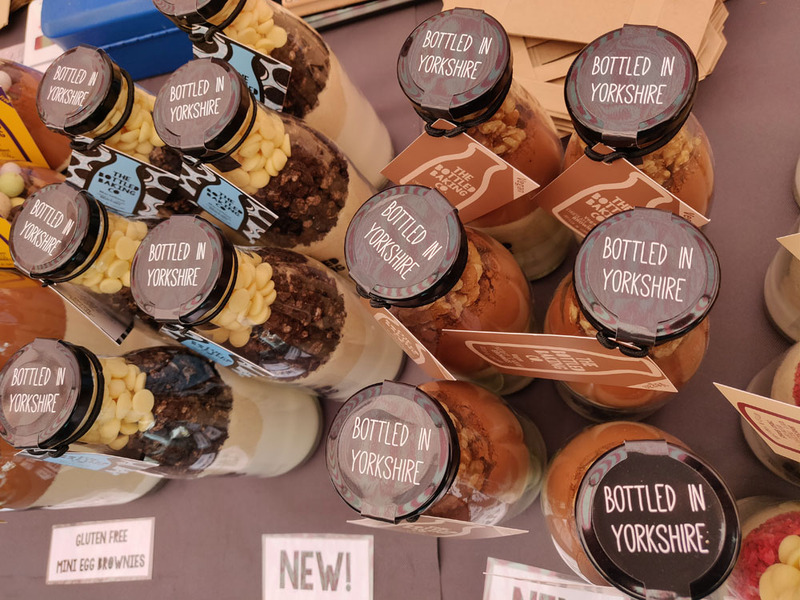 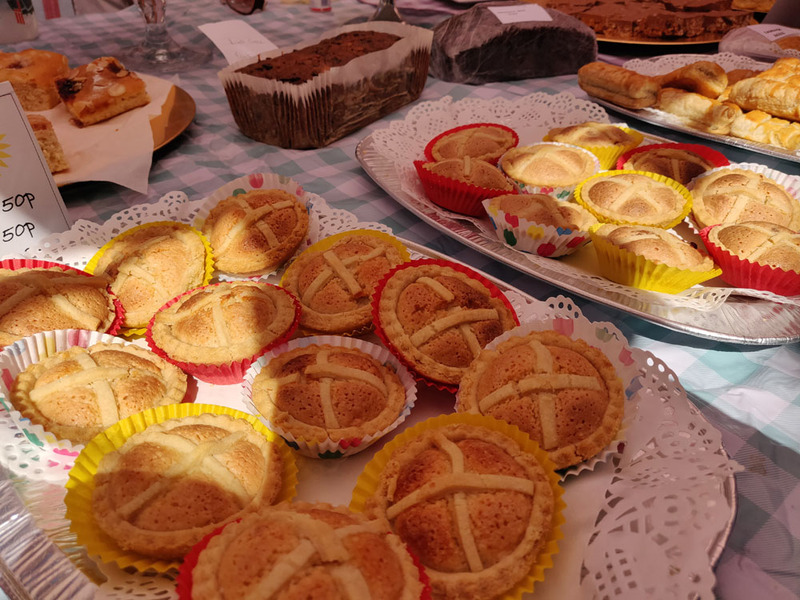 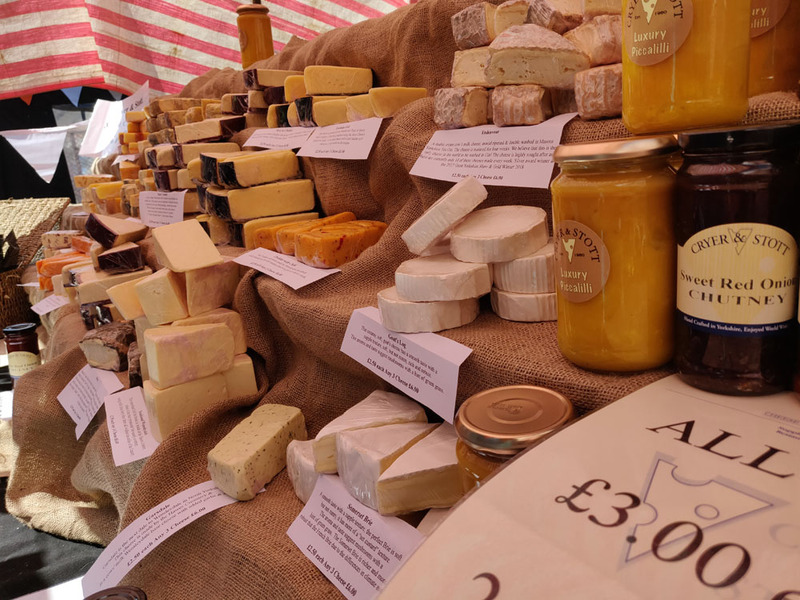 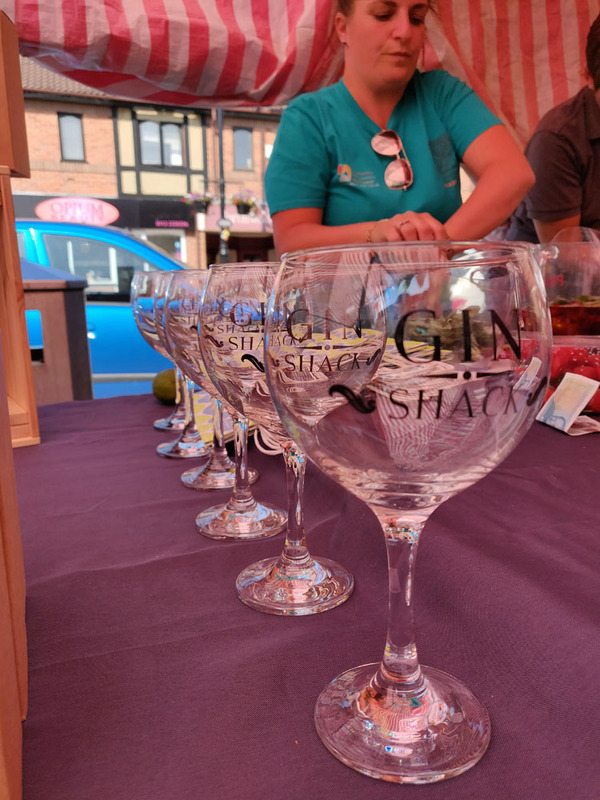 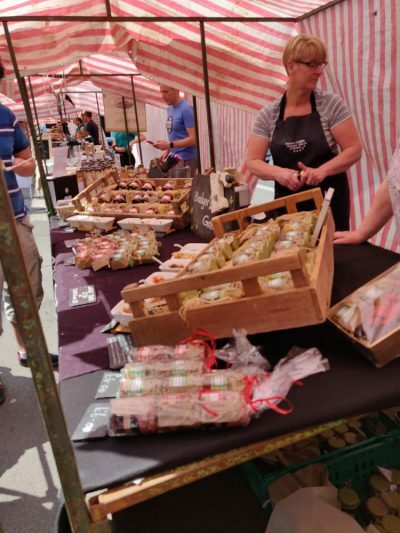 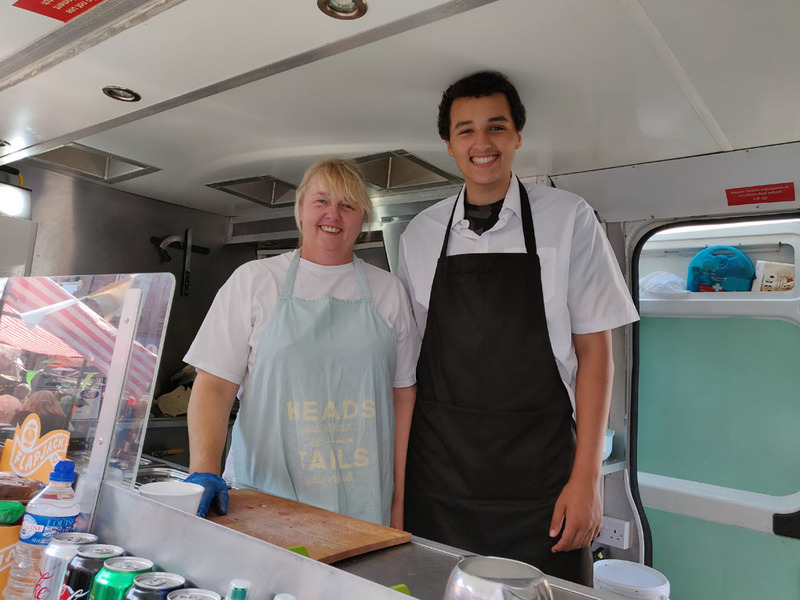 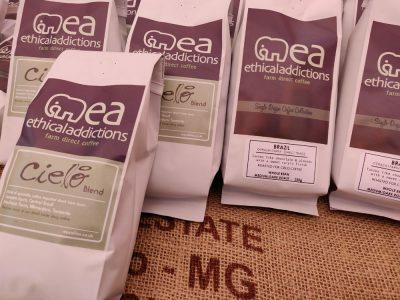 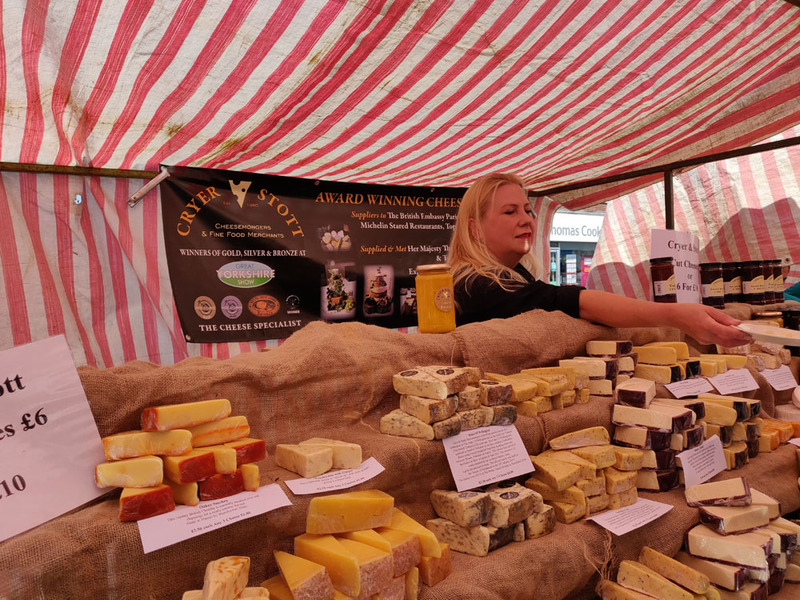 The event was created to help bring the Garforth and neighbouring communities together to showcase and celebrate great independent food and drink businesses in and around the area. 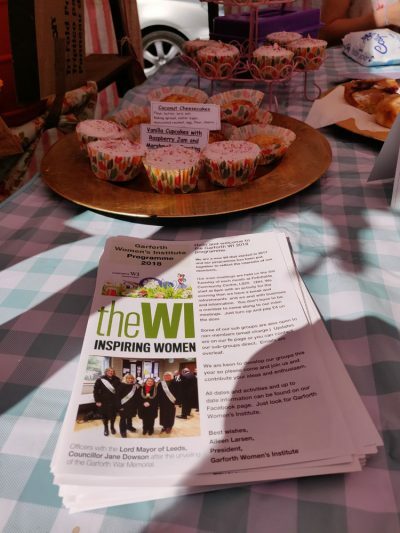 By holding such an event we were not only celebrating what we already have but also making new independent businesses aware of what Garforth has to offer in the hope of them establishing a presence on our high street. 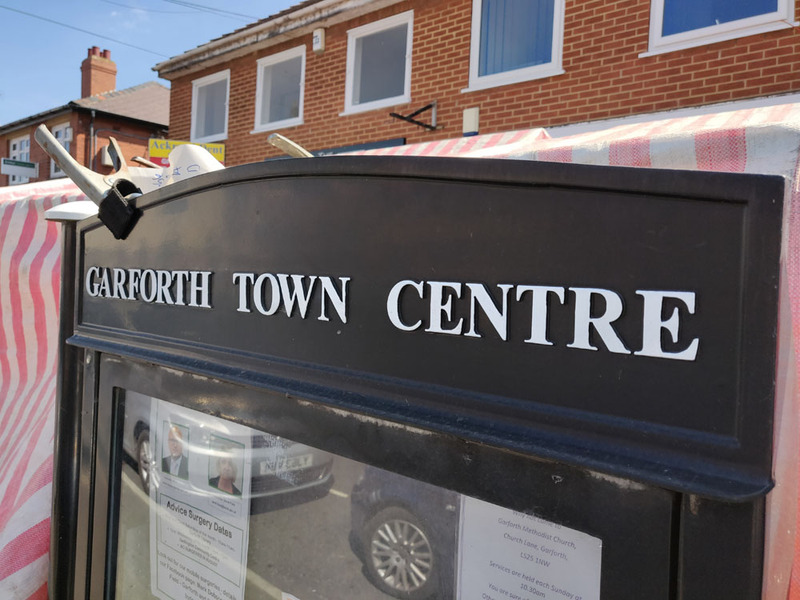 As a community group, we recognise the importance of a vibrant high street for jobs, wealth and opportunity creation, as well as the value of the local pound (£) in Garforth. 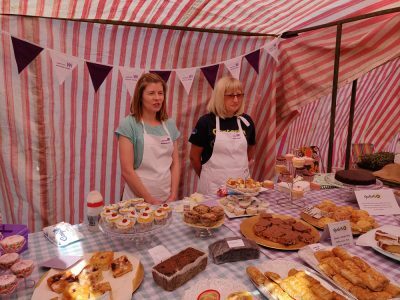 A huge thank you to all the businesses and volunteers that got involved last year. 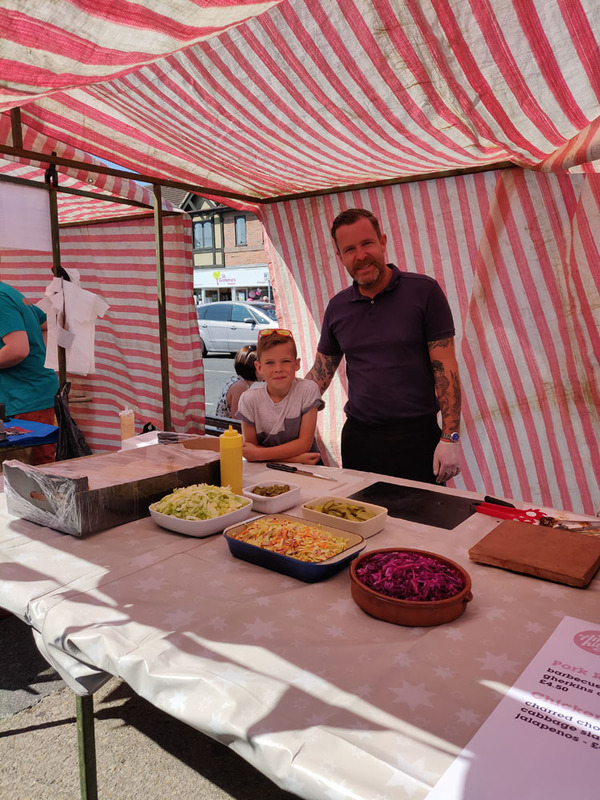 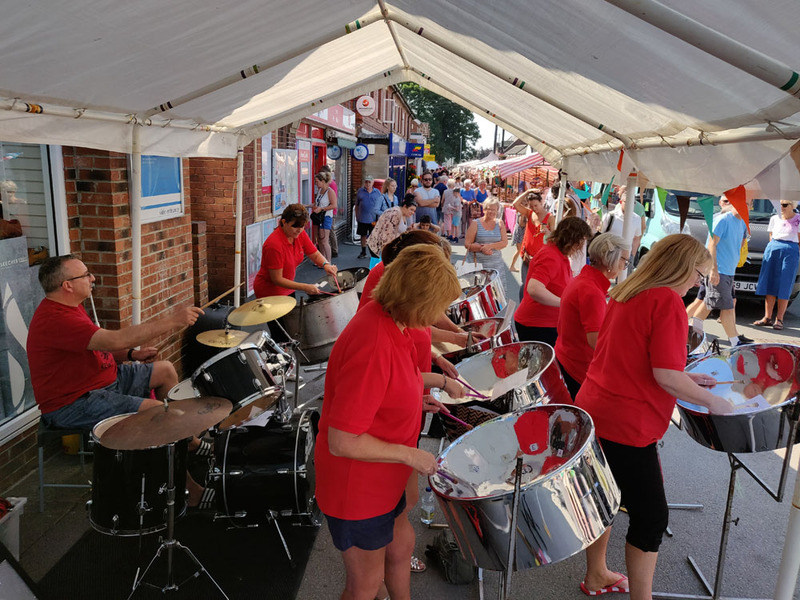 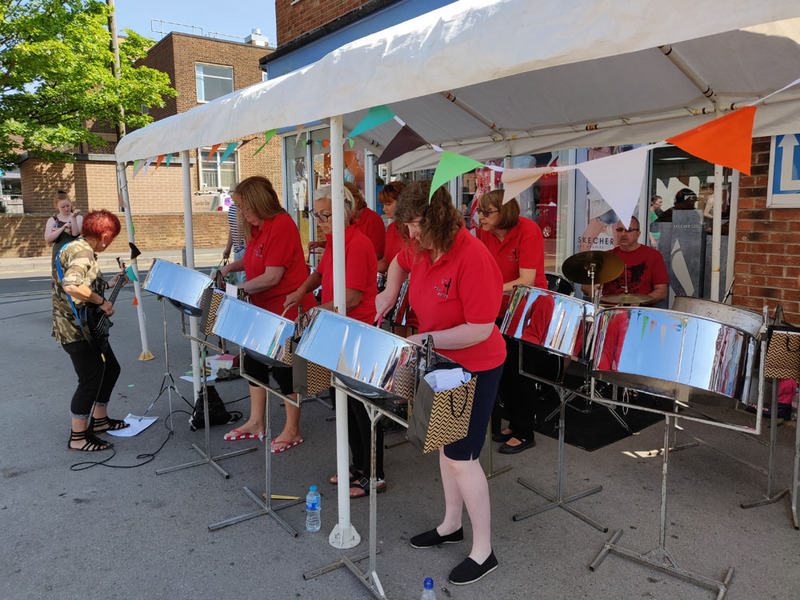 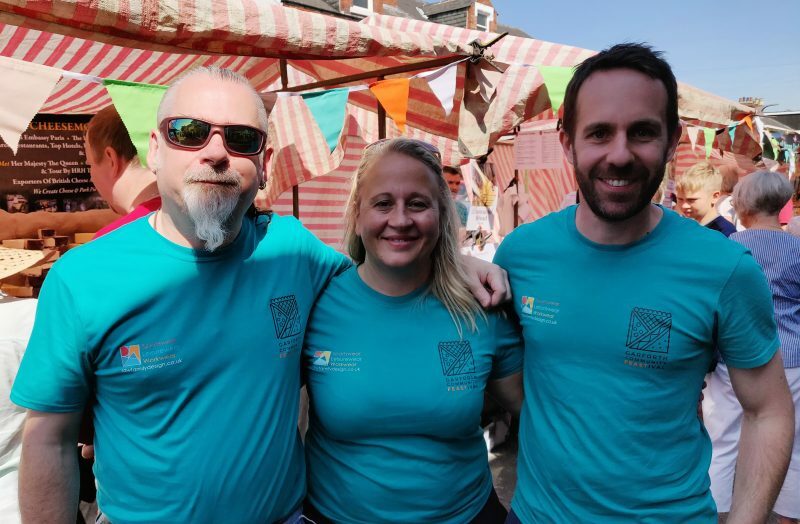 It was a fantastic day and we are looking forward to the 3rd Garforth Feastival in 2019 – there is still time to get involved. 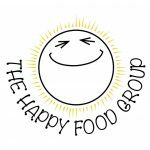 Click the ‘Get in Touch’ button below and say hello. 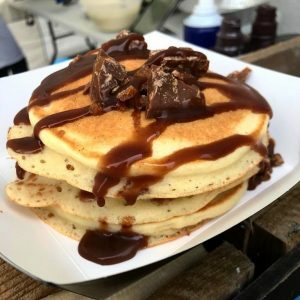 Who is confirmed so far for 2019? 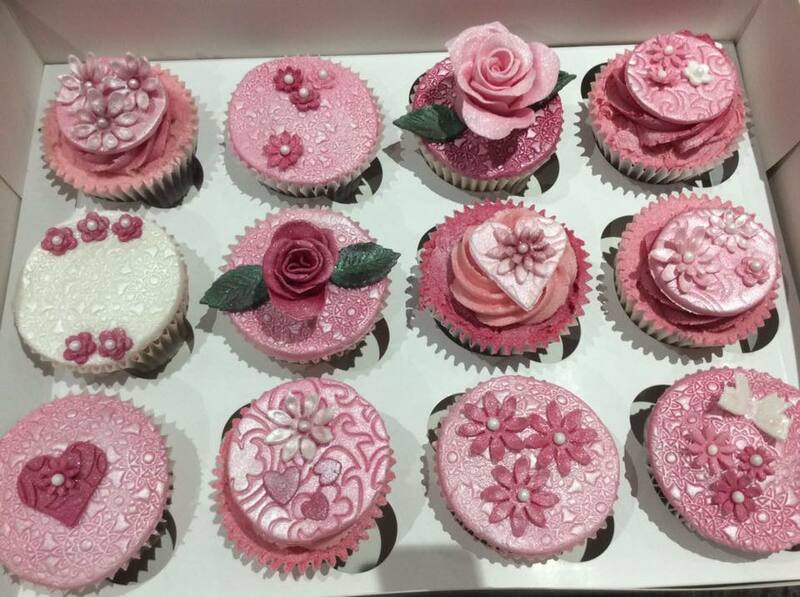 Bedazzled Cupcakes pride ourselves on using the finest ingredients to make delicious cupcakes with plenty of love and care. We are a very friendly and active association of hobbyist beekeepers in and around Leeds, West Yorkshire and surrounding areas. 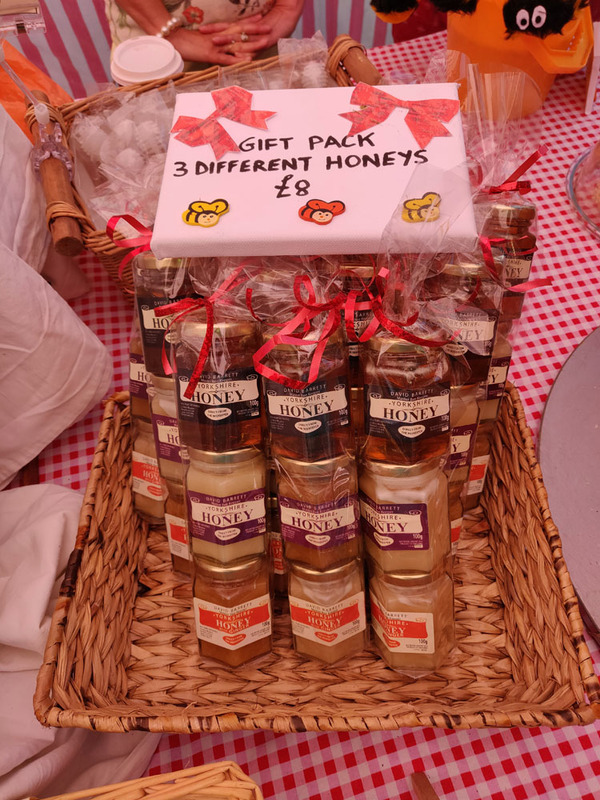 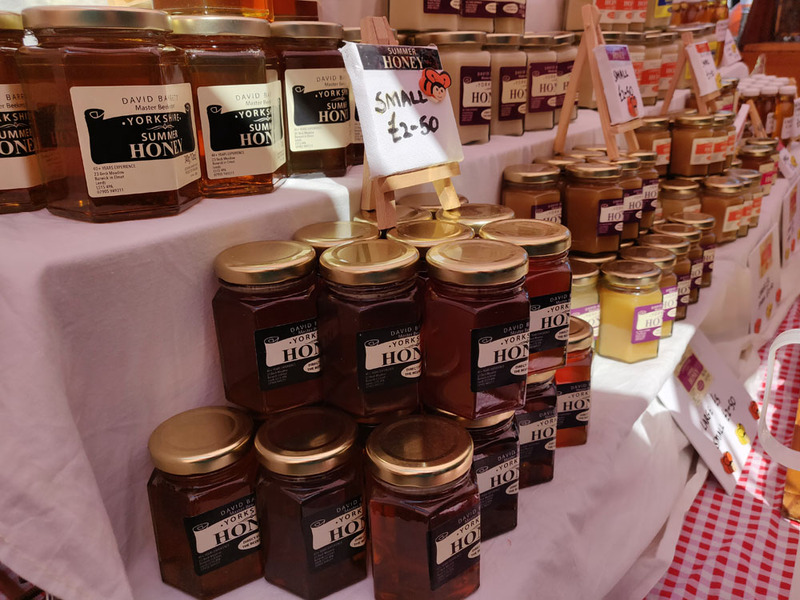 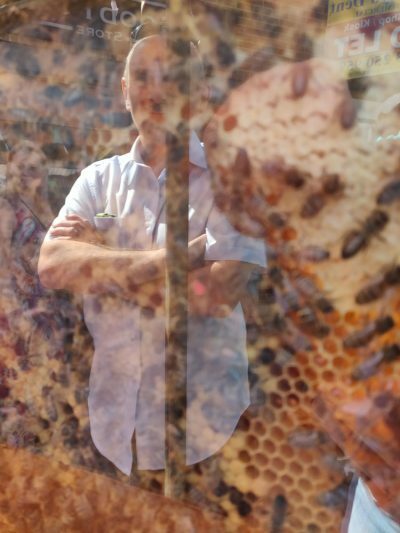 Dave Barrett will be attending Garforth Feastival on the day, selling his range of award winning local Honey. 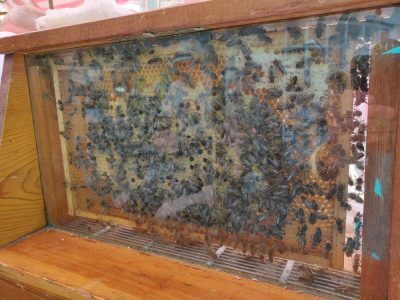 As a Master Beekeeper having amassed over 40 years of beekeeping experience, what he doesn’t know about bees and honey, isn’t worth knowing. 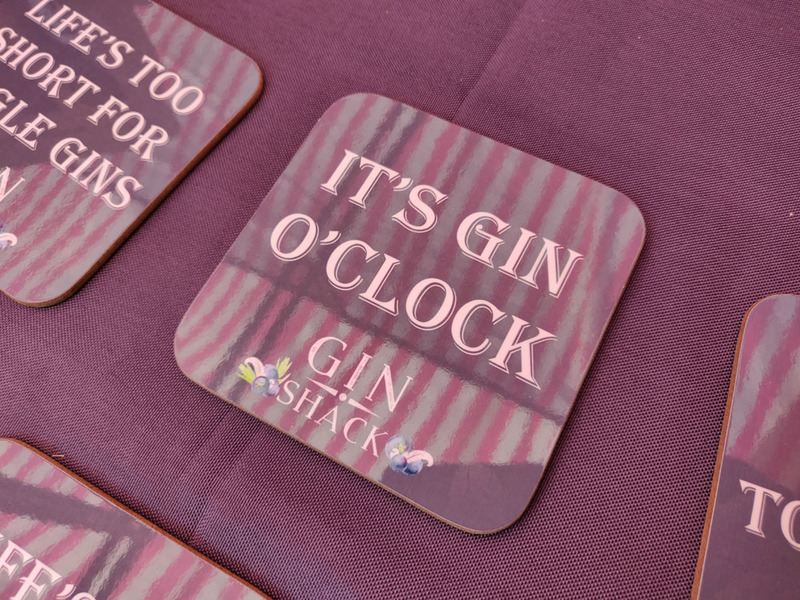 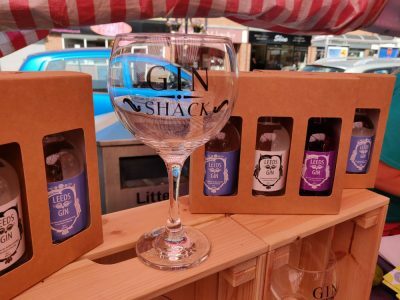 With nearly 20 years experience in the food and drink industry, Rebecca launched her own business “The Gin Shack” in September 2016. 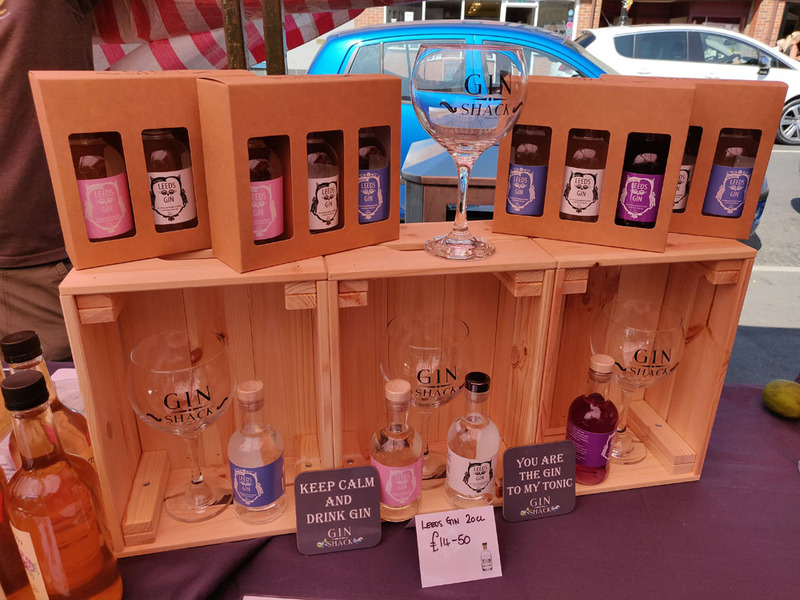 With a passion for the new and interesting gins on the market, Rebecca set her sights on showcasing these incredible artisan producers in her own unique way. With a spectacular first “pop up” gin bar in Quirky Ales, the local microbrewery in Garforth, it was quickly apparent the Garforth loves Gin! 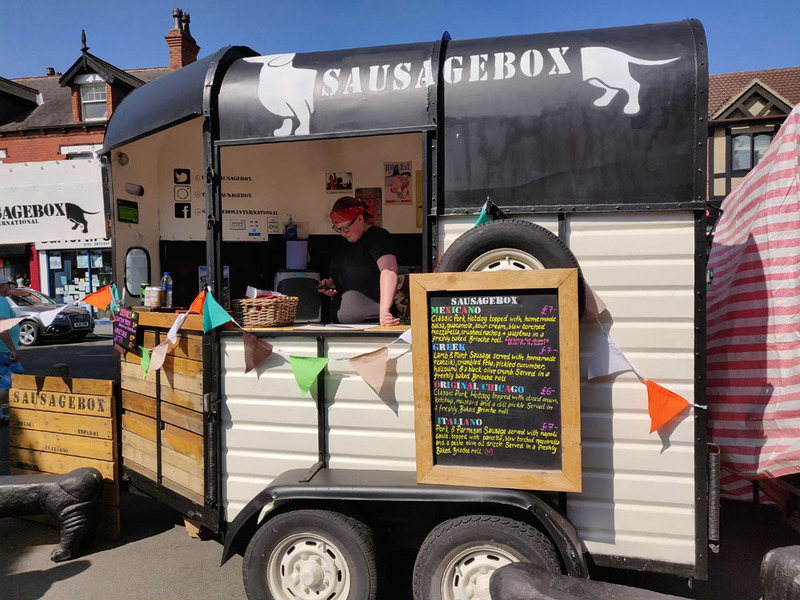 If you are lucky, you’ll see her pride and joy, “The Gin Shack”, a beautifully converted horse trailer at some of the events she is booked for! 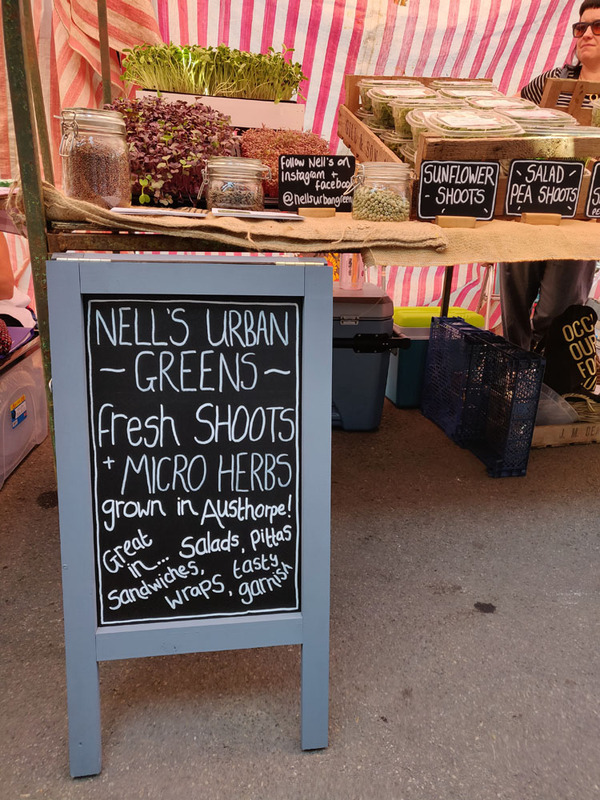 Welcome to Nell’s Urban Greens! An urban micro-farm based 5 miles from Leeds City Centre. 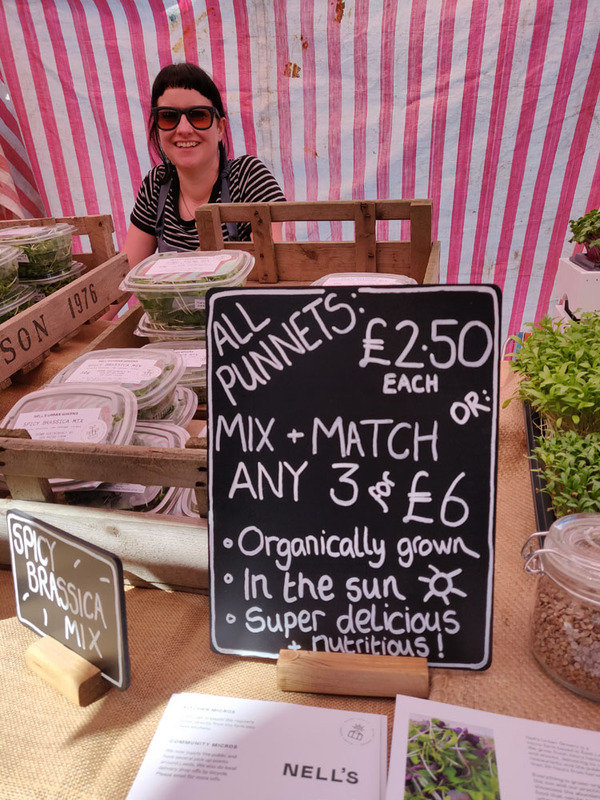 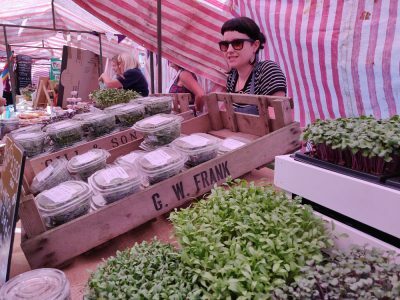 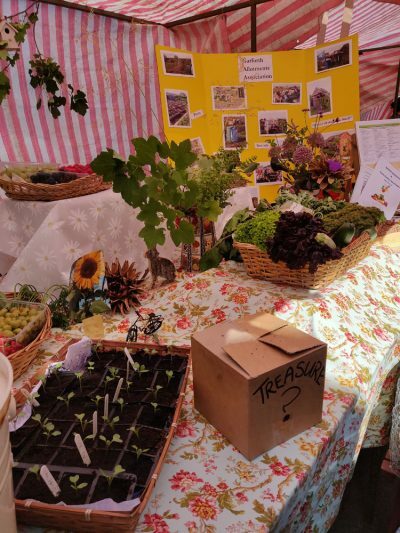 We grow microgreens in our greenhouse and supply cafes, restaurants, street food vans, farmers markets, as well as local people through our community produce scheme and local plant sales. We grow our microgreens naturally, with the seasons, using only organic peat free compost, water and the sun. We cut, package and chill our products and cycle them straight to our customers, usually all in the same morning. 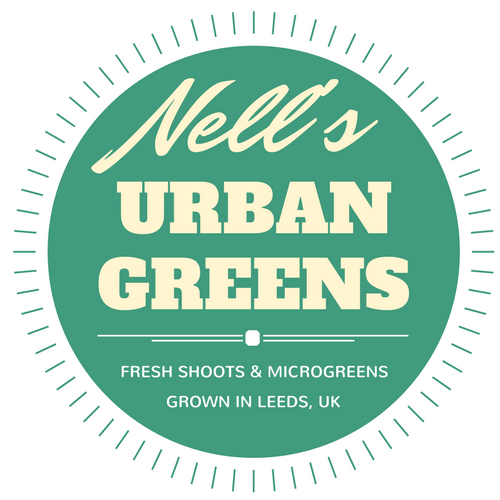 This keeps our greens super fresh, for longer. 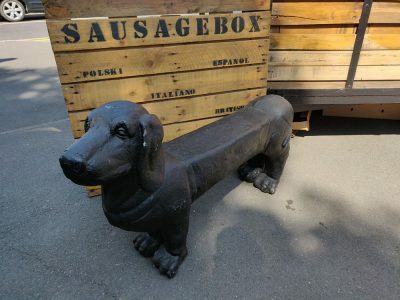 We specialise in delicious gourmet and European sausage. 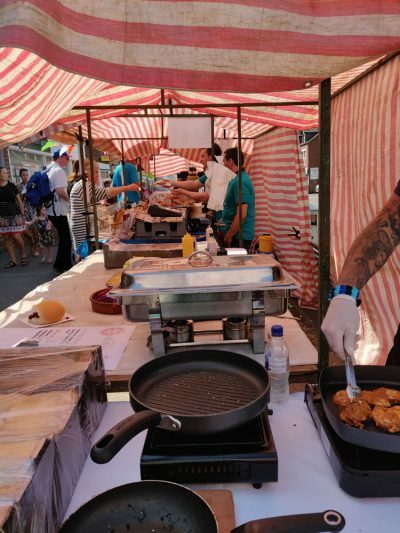 We are based in Leeds and are proud to be part of the UK street food revolution. 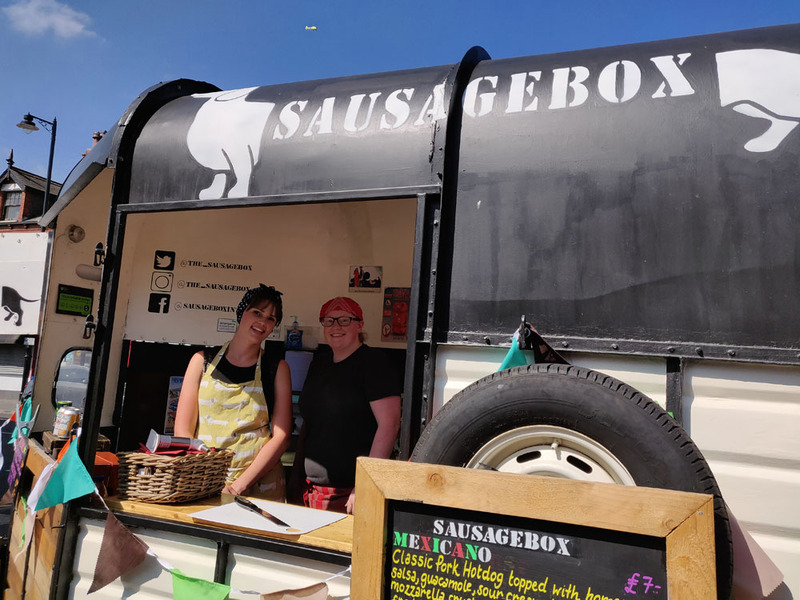 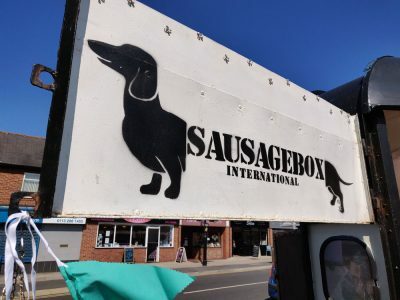 SausageBox International came into existence in 2015. 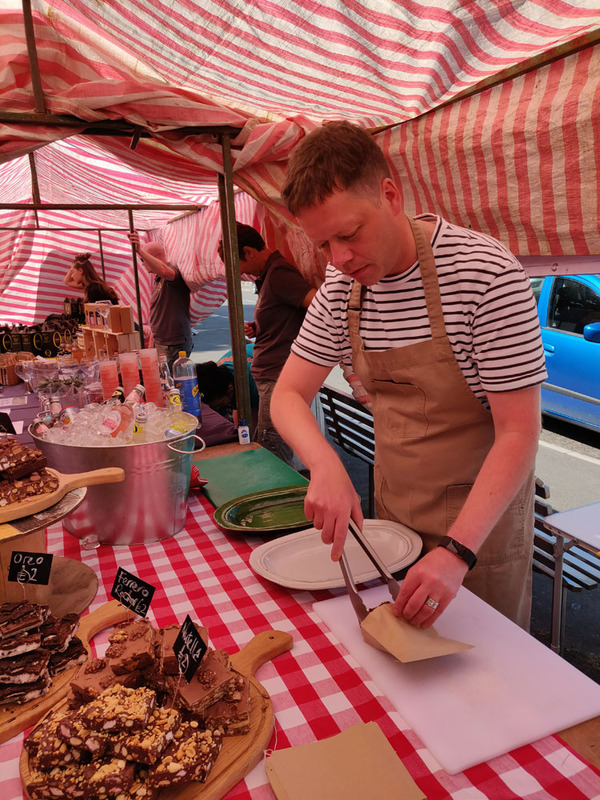 It was the brain child of its founding couple Dan Burgess and Felicity Richardson and began as a love of great food, the desire to do something different and a passion for Street Food. 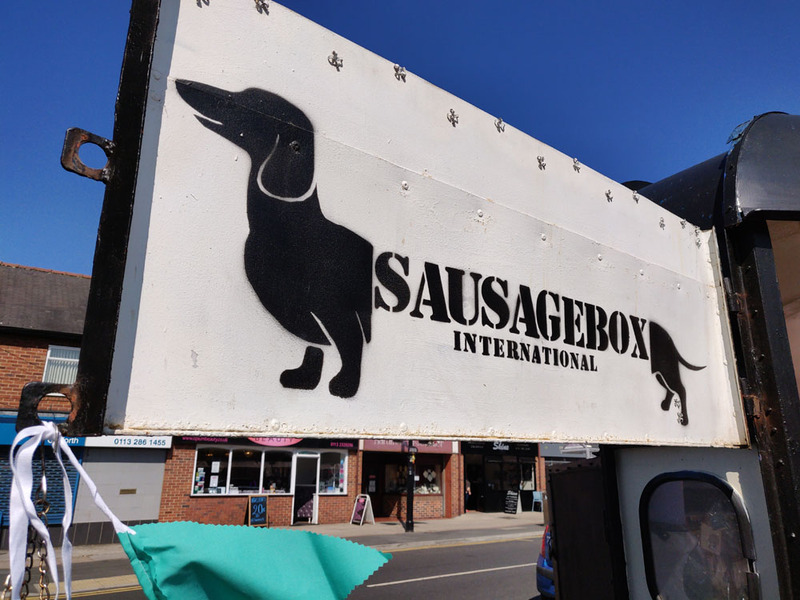 I’m Katie. 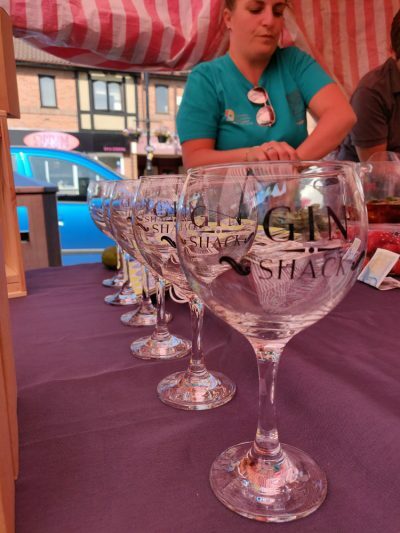 I’m a 38 year old British-born girl with Scottish and Irish roots. There are 4 things you should know about me. 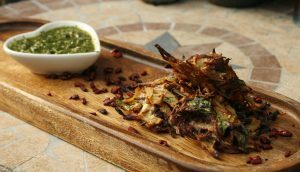 If it were so to be, I would gladly eat Indian cuisine for every meal. 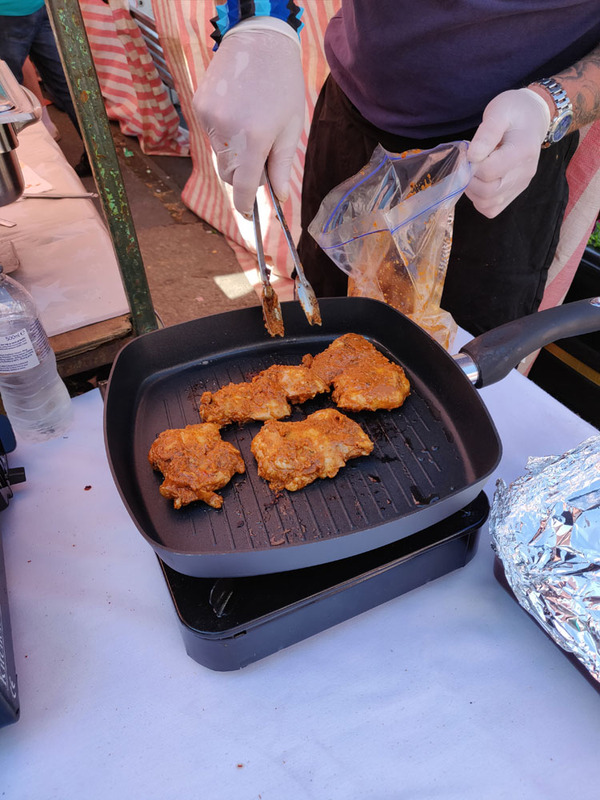 I have a huge passion for food, and Indian dishes have always been a favourite of mine. 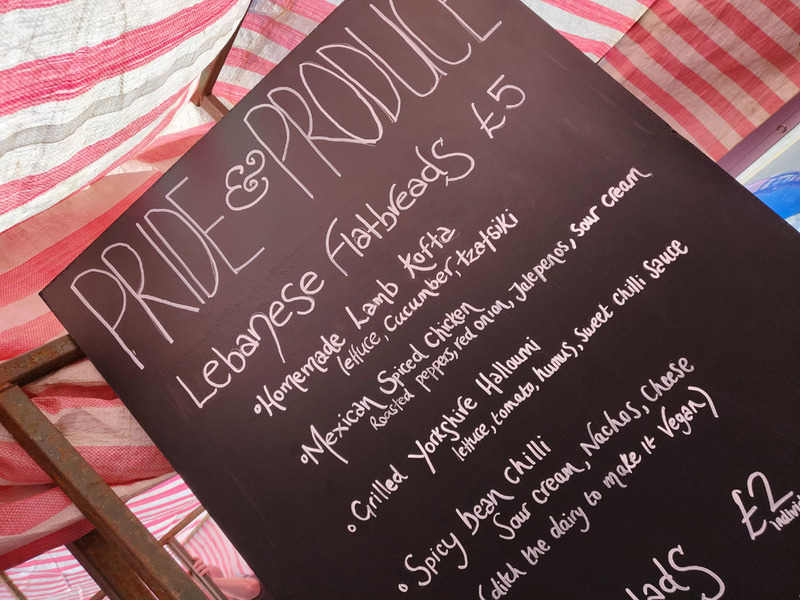 The flavours and ingredients are so endlessly exciting! Since I discovered cooking I’ve had a desire to understand the magic behind Indian cuisine – behind the smells, the flavours, the gorgeous vibrant colours! 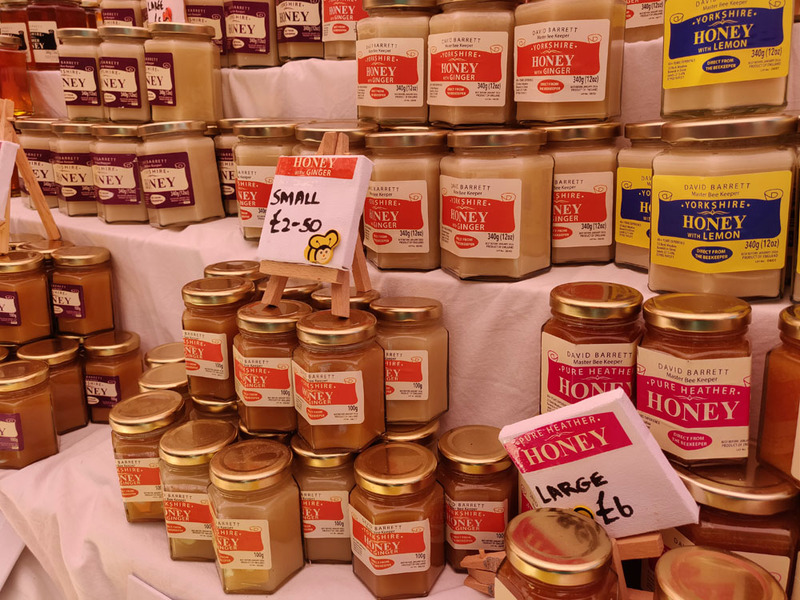 However along that journey I also discovered the numerous health benefits of spices such as black pepper, cloves, cardamom, cinnamon, fresh ginger, fennel seeds, asafoetida and turmeric etc. 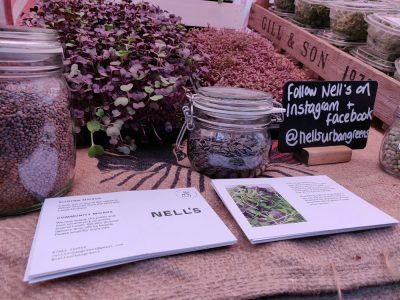 Offering healing, digestive and powerful anti-inflammatory properties, their benefits are endless! 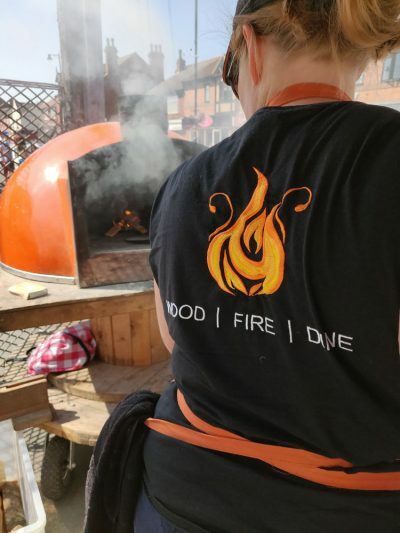 So now when I cook, I always work with both flavour and nutrition. The Bottled Baking Co is based in Cross Gates and we hand make a range of brownie, cake and cookie mixes using high quality ingredients and aim to have super simple instructions. They are perfect as a treat, as a gift for friends and family or for hassle free baking with children. 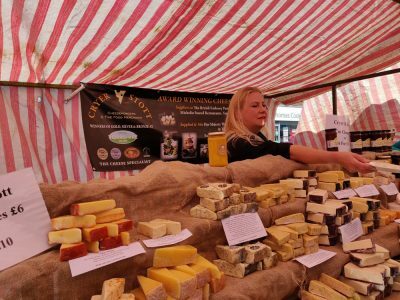 Cryer & Stott are a family run Cheesemongers based in West Yorkshire. 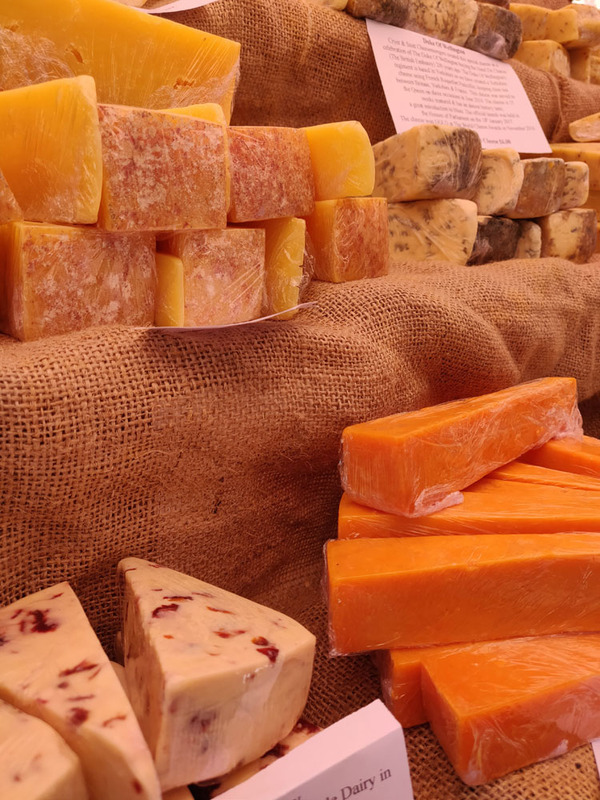 We are purveyors of cheese and fine foods. 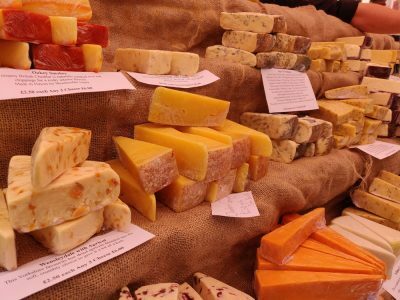 Passionate about artisan products, we source over 700 British cheeses as well as a full range of continental. 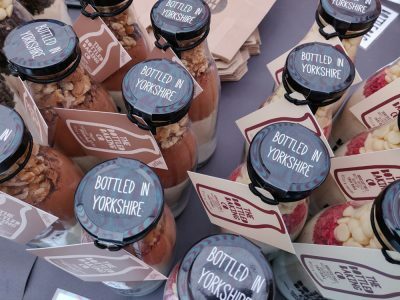 These products are showcased in our three retail outlets across Yorkshire. We have become renowned for being specialists in our field & supply prestigious venues & events, wholesaling to clients such as the British Embassy in Paris. 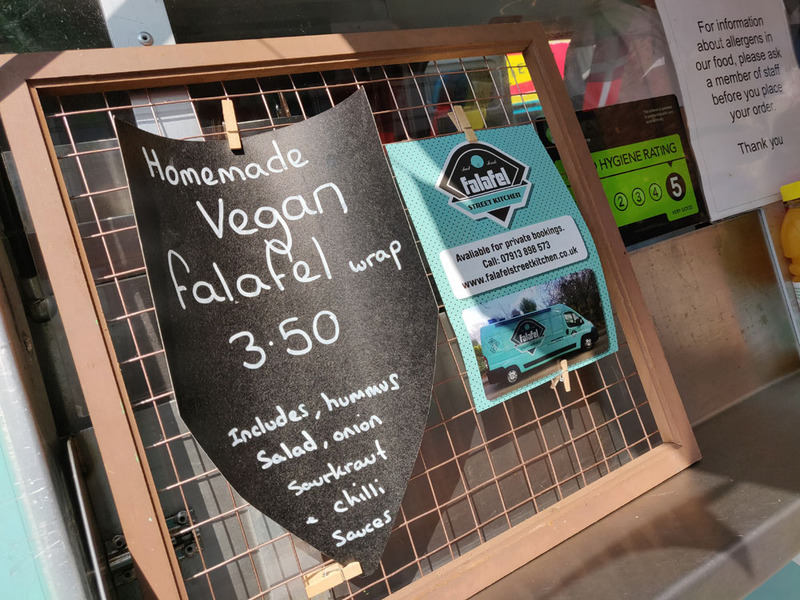 We are falafel-lovers with a passion for healthy, vegetarian food alternatives! 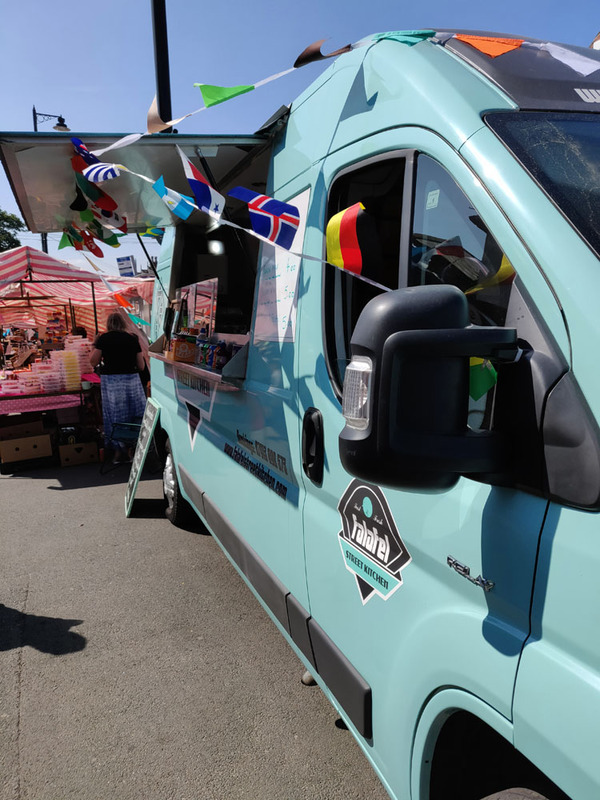 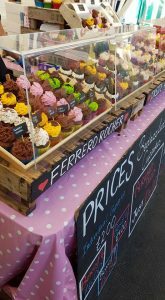 Using my street food van, I began trading on Wakefield market in 2006. 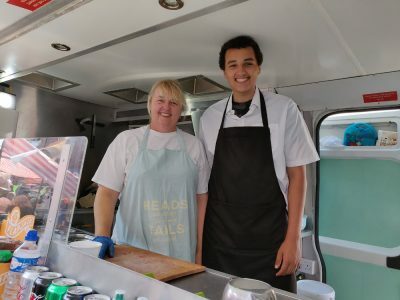 After converting a loyal group of customers into falafel-lovers, the word spread and we began to receive fantastic feedback on my falafel recipe. 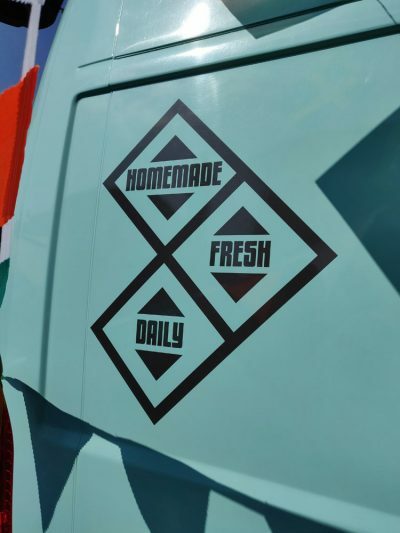 An Italian inspired café with a take-away serving hatch to feed hungry commuters on their way to work or sit inside our café, relax, and let us do the work. 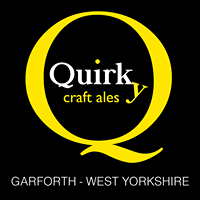 We are a small independent craft brewery based in Garforth. 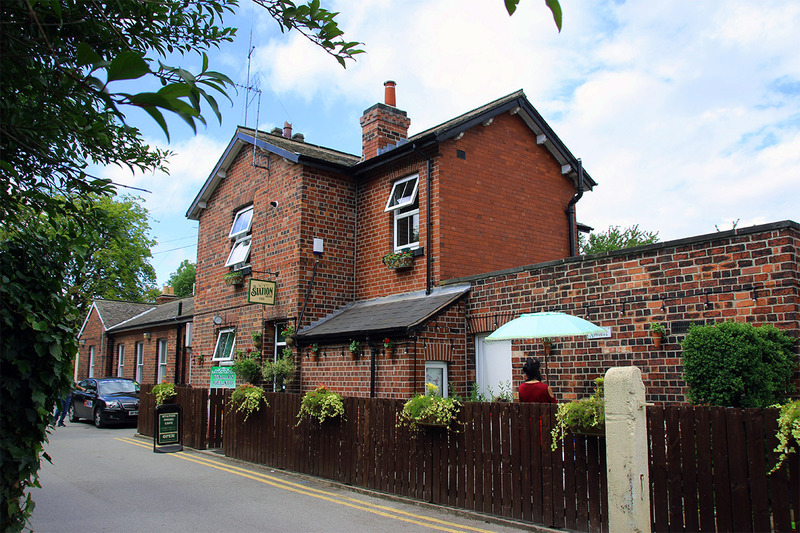 Our small rustic tap room is attached to the brewery in Ash Lane so our beers do not have far to travel. Cosy in winter, and with plenty of outdoor space for al fresco drinking when the weather allows, we serve up both a selection of Quirky Ales and occasional guest ales from like-minded local Yorkshire breweries. More details and news can be found on our social media feeds at Facebook , Instagram and Twitter. 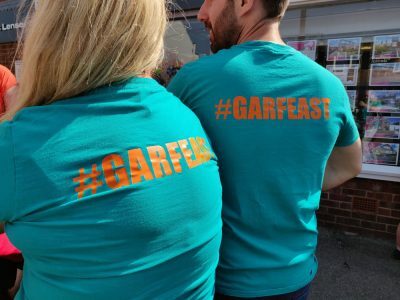 Please use this form if you wish to find out more about Garforth Feastival 2019 or if you’d like to get involved.